OSWEGO — Lauren Cutler of North Canton, Ohio, has been selected to receive the 2017 Outstanding Senior Award by the Oswego Alumni Association. She was recognized during the Commencement Eve Dinner on May 12 in SUNY Oswego’s Marano Campus Center convocation hall and arena. SUNY Oswego meteorology major Lauren Cutler has been selected to receive the 2017 Outstanding Senior Award by the Oswego Alumni Association. 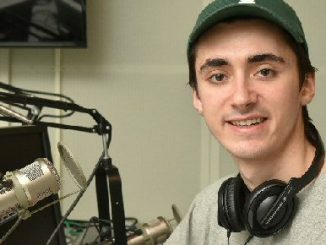 Cutler, meteorology major with minors in mathematics and German, was chosen from a highly competitive group of 43 graduating seniors nominated by faculty, staff and peers from the SUNY Oswego campus community. She was selected based on her academic achievements, campus involvement and service to her community. 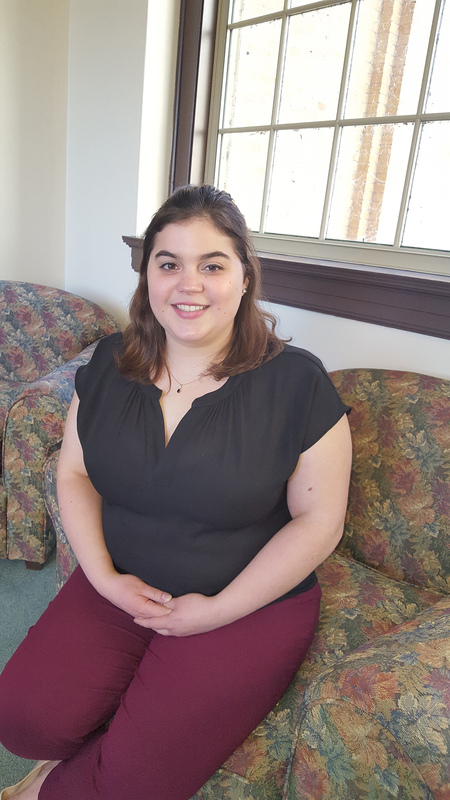 Throughout her four years, she has been very active and held leadership positions in the Newman Club, Hall Newman Center, Meteorology Club, Women in STEM and Omicron Delta Kappa. She also served as a first-year peer adviser and an on-air meteorologist for the student-run TV station WTOP-10. She got involved in research as a first-semester freshman working on the Ontario Winter Lake-effect Systems (OWLeS) project and collecting data from the weather balloons she helped launch in the middle of lake-effect snow bands. She served as a forecaster for the Lake Effect Storm Prediction and Research Center. She spent a summer as a Hollings Undergraduate Scholarship intern with the Hurricane Hunters at the National Oceanic and Atmospheric Administration Center in Tampa, presenting her findings at the Science Symposium at NOAA headquarters in Silver Springs, Md. “My Oswego experience has been jam-packed with opportunities and I have tried to take advantage of as many as I could,” Cutler said. In addition to her academic interests, Cutler spent a lot of time volunteering and working at the Newman Center and she served as a religious education teacher with Faith Formation. Next year, she is volunteering with the FEMA Corps, a program housed with the AmeriCorps National Civilian Community Corps dedicated to disaster preparedness, response and recovery. She will be located in Vinton, Iowa, within Tornado Alley. After her experience with FEMA Corps, Cutler said she expects to attend graduate school for meteorology or a related field. The Outstanding Senior Award was established by the 2005 Senior Class Planning Committee and is funded by 2002 alumna Alice Massimi Crouch. The Outstanding Senior Award recognizes a graduating senior who has been highly involved on campus while maintaining academic excellence.